Bears, whales, hawks, and millions of migratory birds will be watched, talked about and celebrated at more than a dozen events in Alaska in 2018. From the Ketchikan Hummingbirds Festival in April to Sitka Whalefest in November, Alaska has a lot of events for birders and wildlife enthusiasts in 2018. The Alaska Hummingbird Festival celebrates the return of the Rufous hummingbirds to the Tongass National Forest. The Southeast Alaska Discovery Center serves as the hub for a series of events, including a juried art show, to promote awareness of the spring migratory birds of Southeast Alaska. The Alaska Hummingbird Festival juried art show opening reception is April 6, 2018, starting at 5 p.m. at the Southeast Alaska Discovery Center. Artwork will be on display through May 25, 2018. Events continue through April 28. Scheduled activities include Saturday morning guided bird walks, the Friday Night Insights lecture series, and Saturday afternoon activities for youth and their families. All programs and activities are free to the public. The 2018 Keynote speaker is Julia Parrish, Professor of Ocean Fishery Sciences, and the Associate Dean of the College of the Environment at the University of Washington. She is also the Executive Director of the Coastal Observation and Seabird Survey Team (COASST), the largest beached bird program in the world. Other featured guests include Mark Kelley, award winning Alaskan photographer; Evon Zerbetz, Alaska artist & book illustrator; and Gwen Baluss, president of the Juneau Audubon Society and Juneau Ranger District wildlife technician. She has been banding birds during the Stikine River Birding Festival since 2015. The festival is the perfect opportunity for adventurous birdwatchers to observe millions of shorebirds, which migrate to the delta each spring. The area also attracts thousands of bald eagles, creating the largest springtime concentration in North America. Events are scheduled for all ages and interests.For more information, contact 800-367-9745 or visit the Stikine River Birding Festival website. Western Sandpiper, Jim Dau photo. Dr. Stephen Kress is the 2018 Keynote speaker. He is Vice-President for Bird Conservation for the National Audubon Society and Director of the Audubon Seabird Restoration Program and Hog Island Audubon Camp. His keynote address is titled: Saving Seabirds: New Lessons from Puffins. Other guests include: Yenifer Díaz, program director of the Panama Audubon Society. Diana Eusse-Gonzalez, coordinator of the Migratory Shorebird Project for the South American portion of the American Pacific corridor. She will share the experience of the Bird Festivals held in Colombia, which are events to share information about birds, and strengthen local communities’ leadership and participation skills. Kristine Sowl, a wildlife biologist studying ecology in subarctic ecosystems with over 25 years working on public lands in Alaska. She is currently in charge of the Yukon Delta National Wildlife Refuge’s non-game bird program, which focuses on land birds, shorebirds, raptors, and seabirds. Kate McLaughlin, an independent environmental consultant, who runs The Alaska Hummingbird Project, non-profit which has been capturing and banding hummingbirds since 2007 in Prince William Sound. McLaughlin will talk about what 10 years of data has just begun to reveal about the Rufous Hummingbird, and other hummingbird discoveries made along the way. Debbie Miller, author of more than a dozen natural history and children’s books, including On Arctic Ground and Midnight Wilderness. In early May, the tidal flats of the Copper River Delta shimmer with the activity of hundreds of thousands of shorebirds. 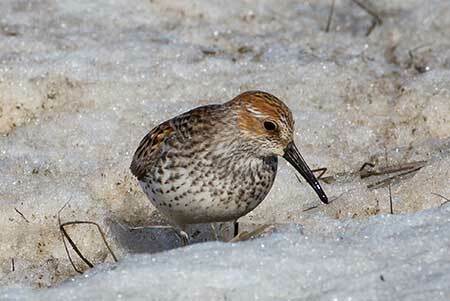 As many as five million shorebirds rest and feed here during spring migration. The Copper River Delta Shorebird Festival provides the ideal opportunity for bird watchers to be part of this epic migration. Many activities, workshops and community events are offered throughout the festival, attracting visitors from around the globe. For more information, visit the Copper River Delta Shorebird Festival website. Alaska’s largest wildlife viewing festival celebrates the spring migration of more than 130 species of birds to the rich feeding grounds of Kachemak Bay. The 2018 Festival will host Keynote Speakers Noah Strycker, as well as featured presenters Raymond VanBuskirk and Iain Campbell. Our distinguished guests will present a variety of workshops and lectures, including presentations on Strycker’s new books, Birding Without Borders. Campbell will offer daily photography workshops as well.. For more information on speakers, and the wide range of workshops, presentations and events, visit the Kachemak Bay Shorebird Festival website. 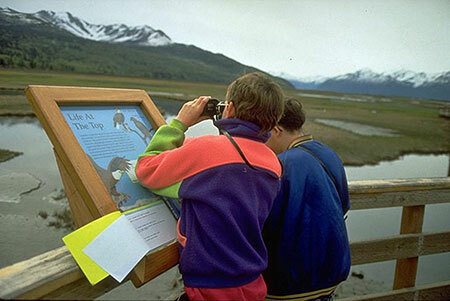 Sponsoring Organizations: USFWS, Kenai Watershed Forum, Kenai National Wildlife Refuge, Kenai Convention and Visitors Bureau, Keen Eye Birders, Soldotna Chamber of Commerce and Visitor Center, Kenaitze Indian Tribe. 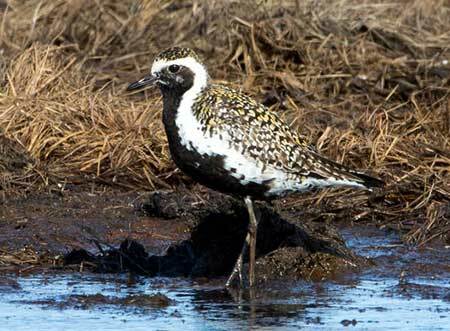 This event for all levels of birders is designed to showcase and celebrate Kenai Peninsula birds. Events include guided float trips, guided walks, field excursions with local experts, workshops and youth art contests. For more information, call Ken Tarbox at 907-262-7767, or visit the Kenai Birding Festival website. The 2018 keynote speaker is wilderness guide, author and photographer Lynn Schooler. Artist, biologist and naturalist Kathy Hocker is the 2018 guest artist. Field trip leaders and presenters include zoologist and guide Denise Yvonne Turley, John Zarnetske and great-horned owl Hoot, and a peregrine falcon, Mavarick; Laura Woodward, Brady Skidmore, Gwen Baluss and festival coordinator Mary Sutkowski. The festival is a celebration of the natural and cultural resources of Yakutat, Alaska. Yakutat hosts one of the largest and southernmost known nesting colonies of Aleutian Terns, as well as Arctic Terns and up to 200 other bird species that nest in, or migrate through the area. The festival is family friendly and offers activities for birders as well as non-birders, including field trips, seminars, kid’s activities, evening banquets, bird banding demonstration, and other programs. Other area activities include sight-seeing, hiking, fishing, surfing, canoeing and kayaking, wildlife viewing, and beach-combing. Please see www.yakutatternfestival.org, visit on Facebook, or call (607) 349-1831 for more information. Kids at Potter Marsh Discovery Day. Photo by Sarah Leonard. Where: Potter Marsh boardwalk, Anchorage Coastal Wildlife Refuge – 2880 East 154th Avenue, Anchorage, AK; located at Mile 117 along the Seward Highway approximately 10 miles south of downtown Anchorage (approximately 1/2 mile south of the Rabbit Creek Road exit and across from the Rabbit Creek Rifle Range). Help celebrate Anchorage’s most popular wildlife viewing area at this free annual event. This family-friendly nature festival brings you birding stations along the boardwalk, captive birds from Bird TLC, education animals from the Alaska Zoo, archery and spin casting practice, hands-on nature activities for kids, release of a rehabilitated wild bird, and more. A food vendor will be on site; parking available nearby; restrooms and entire facility is accessible to those in wheelchairs.For more information, visit the Potter Marsh Discovery Day page. Guests include photographer Robert E. Johnson who will lead photo and video workshops. Symposium presenters include bear researchers, wildlife managers, photographers and videographers (including drone use). Events include a wide variety of presentations (symposium events); bear safety workshops, bear spray demonstrations, photography and videography workshops, kid’s events and activities, movies, a plant walk, live music with the Sahnas Brothers, a community market with local vendors, Native storytelling, and races ranging from a five K to a full marathon. Celebrate the bears of Alaska with fun family and sports activities, workshops, a research symposium, a photo contest and more. Anan bear viewing area tours will be provided by local operators during the week. For more information, visit the Alaska BearFest page. 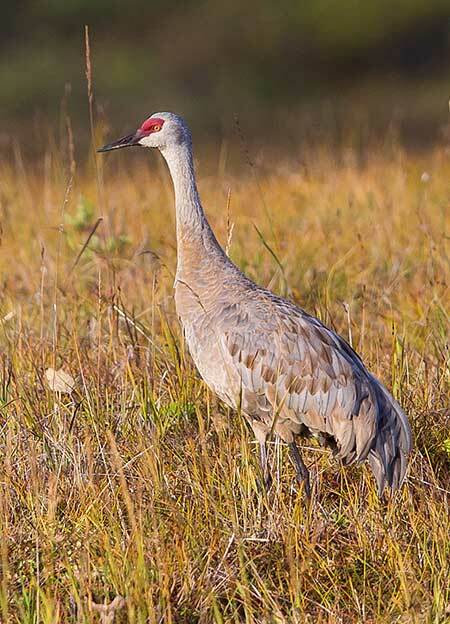 Each August as thousands of Sandhill Cranes begin their southward passage from Alaska and Siberia the Tanana Valley rings with gathering calls. One of the best places to catch this spectacle is at Creamer’s Field Migratory Waterfowl Refuge in the heart of Fairbanks, Alaska where daily Sandhill Crane tallies regularly top 1,000. The best time to enjoy fall staging is late August and early September. A sandhill crane. Photo by Jim Dau. The festival includes talks, bird watching, nature walks, workshops and many other related activities with ample opportunities for observing Cranes and other fall migrants. Sitka residents and visiting attendees gather to hear an international lineup of renowned biologists and researchers share their current research and exciting experiences over the three day symposium. Participate in discussions with these researchers and attendees about marine mammal research and exploration. Whale watching tours, art and music round out the event. View the Sitka WhaleFest website. The event begins with a dinner 5 pm Wednesday, Nov. 7, followed by a guest speaker at 7 pm. There will be an art bazaar and poetry evening on Thursday, and the Takshaunuk Film Festival and Dinner on Friday. 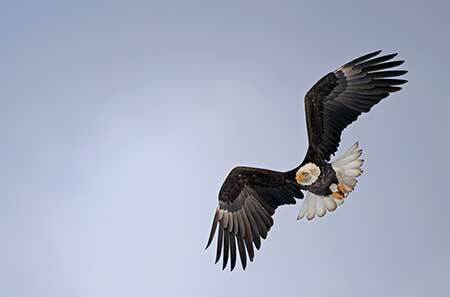 On Sunday, Nov. 20 there will be an eagle release and auction at 1 pm at the Jilkaat Kwaan Heritage Center; and the Alaska Bald Eagle Festival Banquet at 6 pm. Events include regular round-trip bus transportation between the American Bald Eagle Foundation Natural History Museum and the Chilkat Bald Eagle Preserve; education and outreach activities, arts and crafts, and guided bird walks. Over 3,000 eagles gather along a four-mile stretch of the Chilkat River north of Haines, Alaska each fall to feed on a late run of salmon. This wildlife spectacle is the largest gathering of eagles in the world. The peak of the gathering usually occurs in mid-November. The festival is crammed with a full schedule of events catering to birdwatchers, photographers, and nature lovers.View the Bald Eagle festival website.